A 3.5 x 4 inches square corner dental appointment cards magnets can be sought by dentists who wish to keep their patients tied. 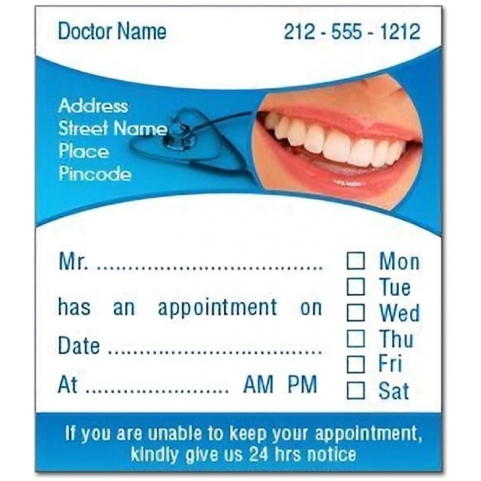 This magnetic appointment card helps patients and dentists to keep in touch with each other. 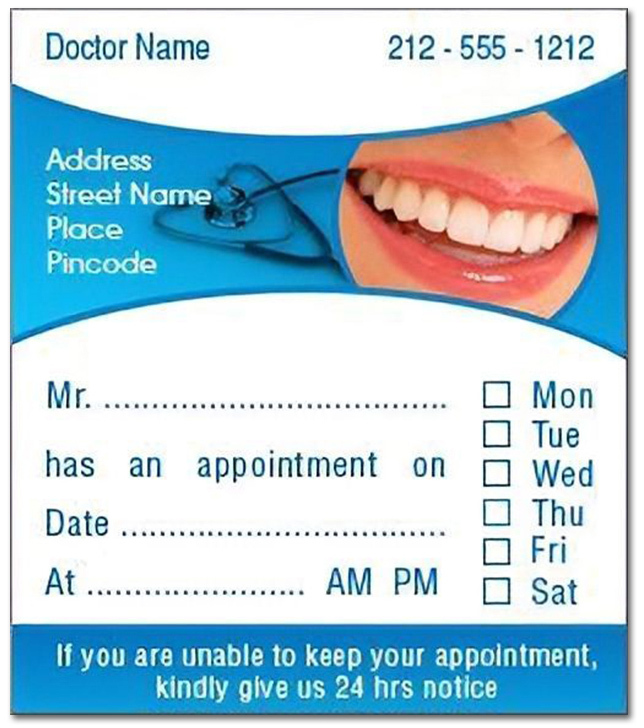 Dentists can order these appointment cards in bulk and hand it over to their patients. Also, they can save on customization fee. Shipping, designing and art set up are offered for free!